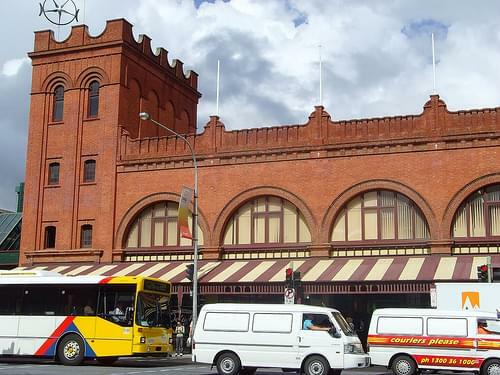 The largest open-air market in the Southern Hemisphere is a cultural landmark, offering a wealth of any imaginable produce. 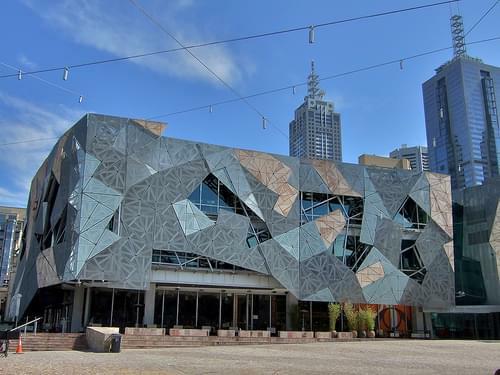 A must visit for lovers of cinematography, this cultural center preserves and exhibits Australian, British, and international films. 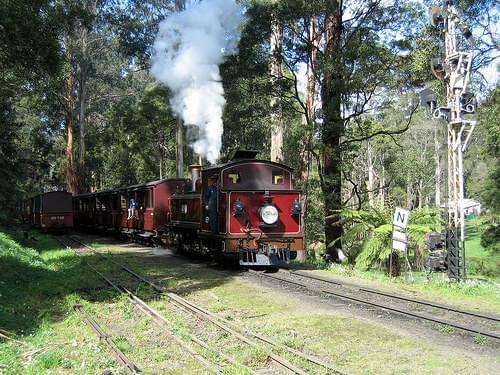 Take a ride on the historic locomotives on this heritage railway, enjoying the scenery, the open-sided carriage, and exhilaration. 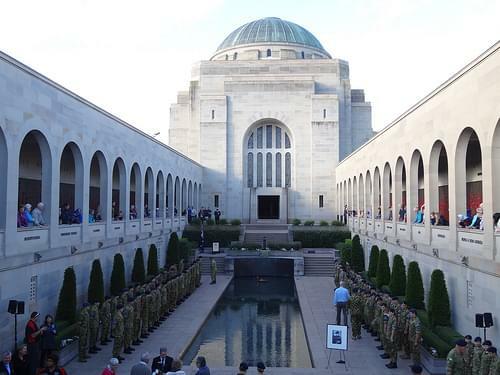 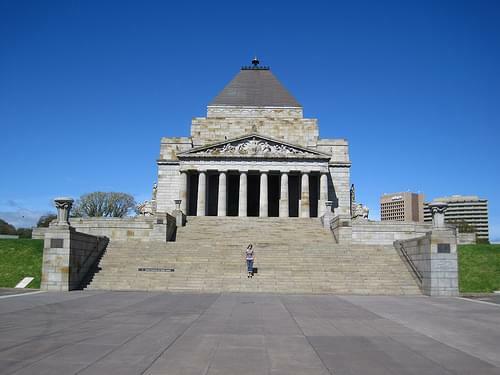 Commemorating Australian soldiers, this memorial imitates a Classical shrine and is annually visited on November 11th. 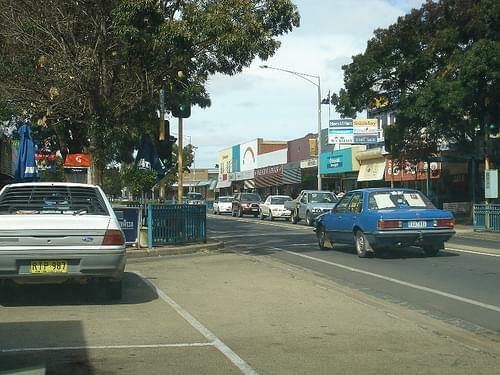 A small Australian town frequented by few tourists. 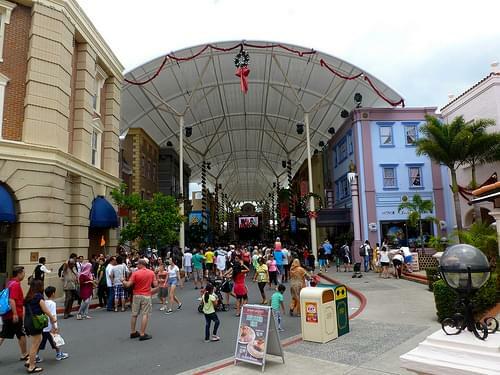 Stroll through the town center, getting to know the local culture and atmosphere. 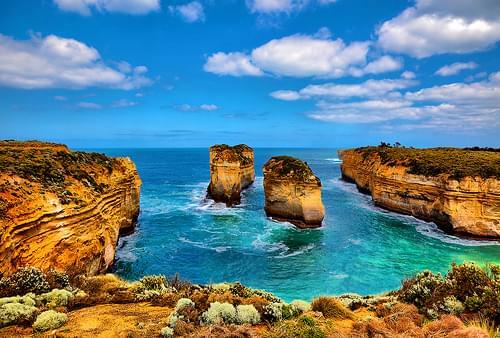 Driving along the Great Ocean Road, be sure to stop by the famed limestone stacks off Victoria's coast, now only eight remaining. 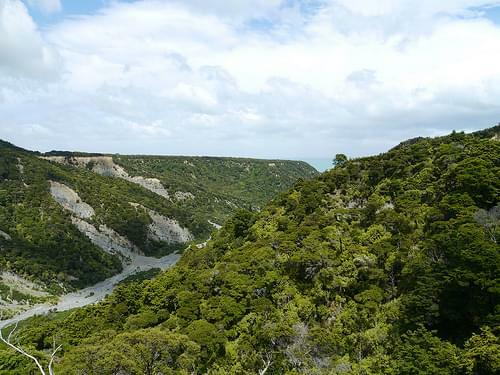 Commemorating soldiers who have died in the WWI, this 243km scenic road offers a grand range of spectacular natural panoramas. 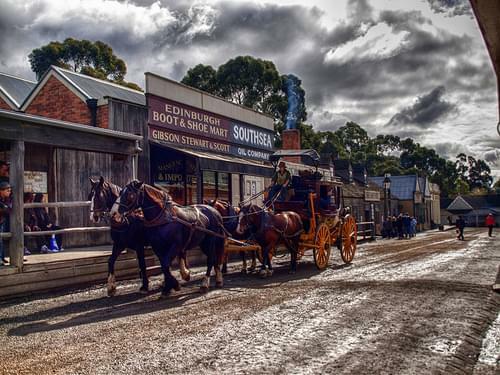 An open-air museum recreating the authentic atmosphere from the 1851 gold rush, including buildings, costumes, artifacts, and more. 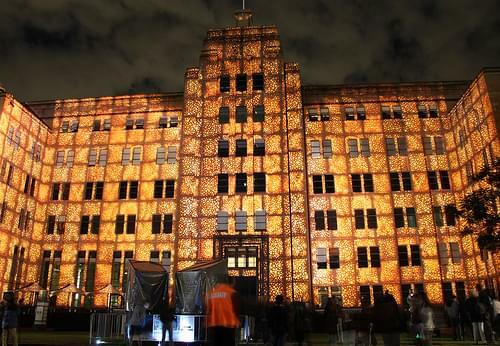 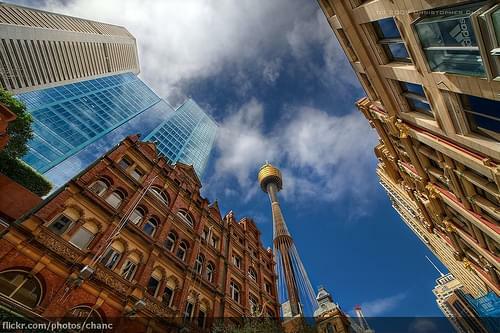 Transport yourself back to Victorian era Australia, as you wander through the streets full of periodic architecture. 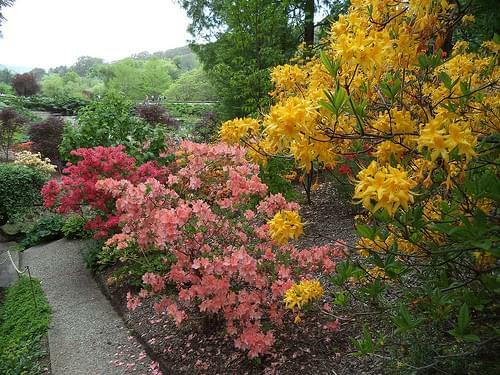 Home to an array of botanical gems, these gardens feature quaint Victorian style flowerbeds, cultural monuments, and a lake. 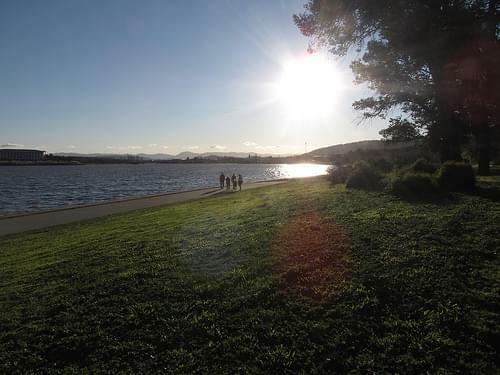 Hike around this artificial lake, explore its surrounding wildlife, or spend an afternoon relaxing on its banks. 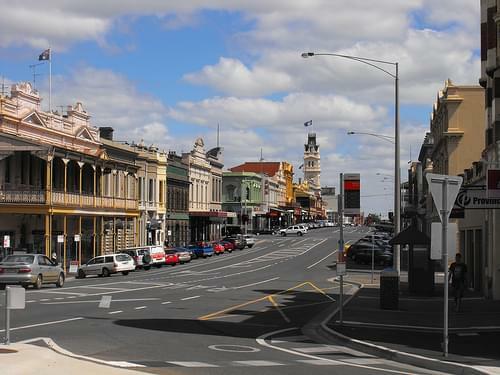 Ballarat is a city located on the Yarrowee River and lower western plains of the Great Dividing Range in the state of Victoria, Australia, approximately 105 kilometres west-north-west of the state capital, Melbourne. 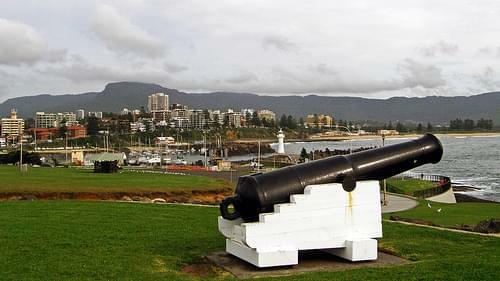 It is the state's most populated inland settlement, and third most populated inland settlement in Australia. 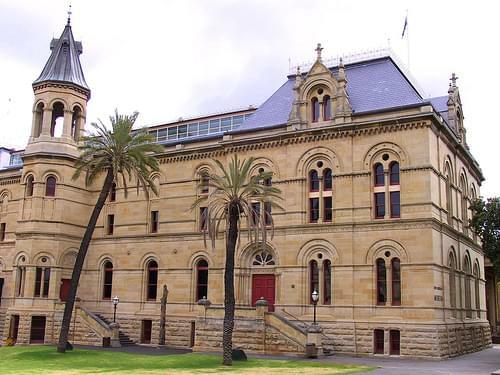 People from Ballarat are referred to as Ballaratians. 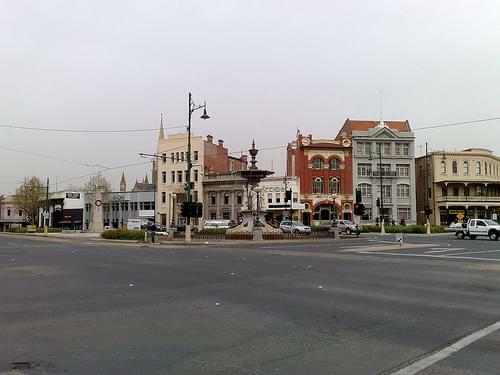 Ballarat is renowned for its cultural heritage and decorative arts, especially applied to the built environment, combined with the gold rush, this has created a picturesque urban landscape. 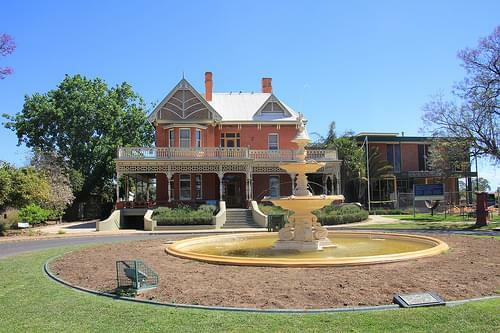 Located in the middle of the wine and fruit growing region, Mildura is a major agricultural center known for its grape production. 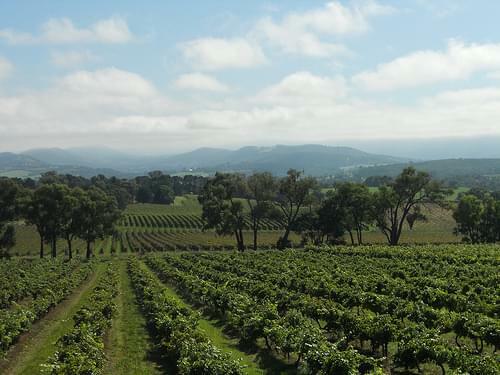 Enjoy the mild climate in this Australian agricultural town, check out the restaurants, and be sure to sample the local wine. 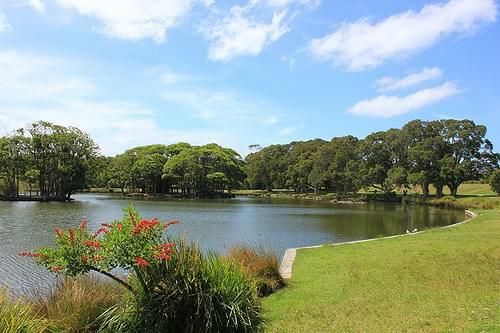 This man-made lake is a favored spot for recreational fishing, and offers easy passage to various pleasure crafts all year round. 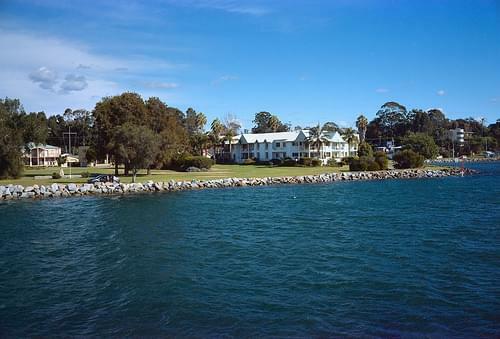 Formerly the house of the city founder, the villa boasts well-preserved 19C interior and is adjacent to a museum of modern art. 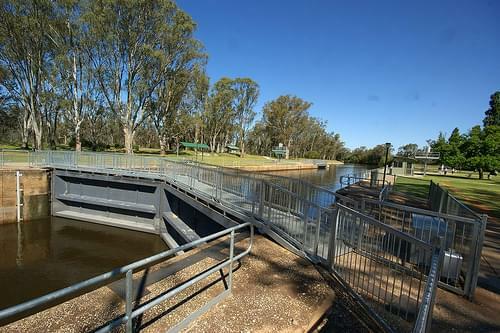 Mildura is a regional city in northwestern Victoria, Australia. 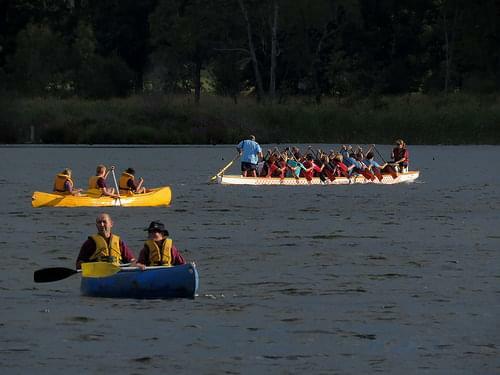 The city's situation on the Murray River makes it a hub for watersports, paddlesteamers and boat cruises. 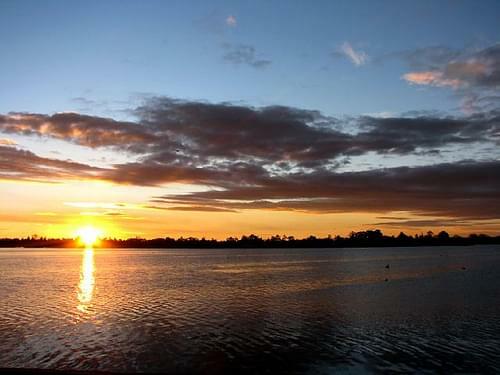 The still conditions make Mildura ideal for hot air ballooning and the Mildura International Balloon Fiesta attracts many visitors. 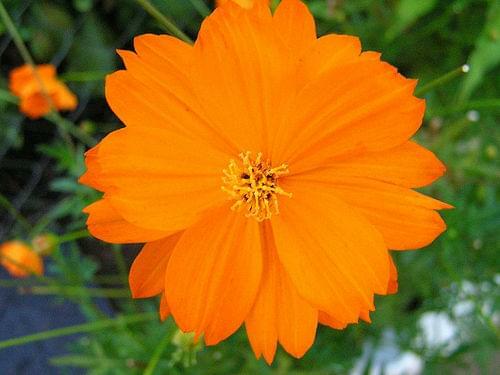 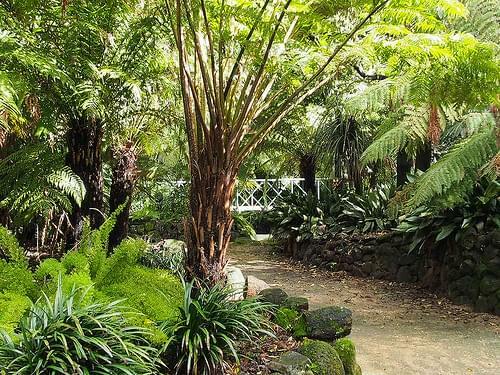 The Australian Inland Botanic Gardens, located nearby in Mourquong is another popular attraction which draws visitors to the city. 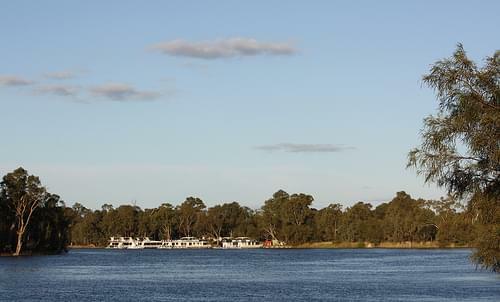 Mildura is host to many annual festivals such as the Mildura Country Music Festival, the International Balloon Fiesta, the Jazz Food & Wine Festival and Murray River International Music Festival. 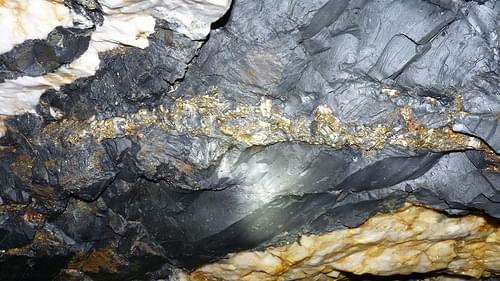 Descend 228m into the belly of Australia's deepest underground mines, and learn about gold mining from the source. 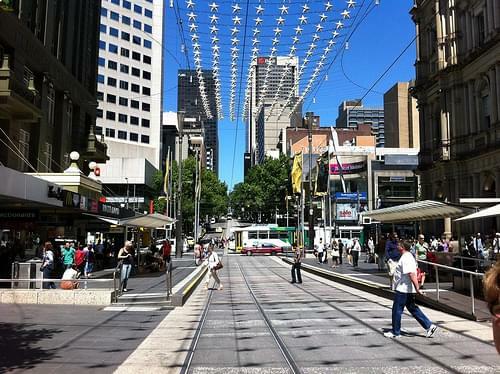 Explore the streets of this busy city, taking in the bustling atmosphere, and enjoying the local restaurants and cafes. 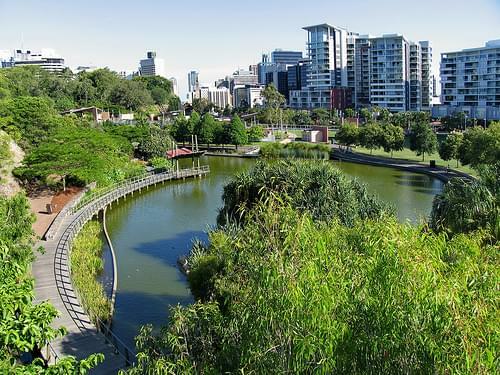 Full of indigenous plants, as well as several great recreational areas, this garden features a lagoon, an aviary, and a playground. 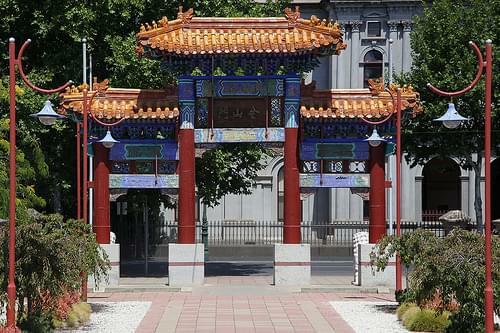 Honoring the history of the Chinese immigrants in Australia, this museum exhibits artifacts, dragons figures, furniture, and more. 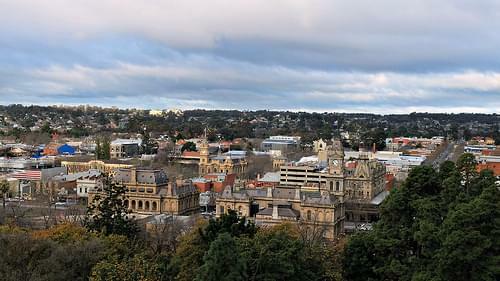 Bendigo is a city in Victoria, Australia. 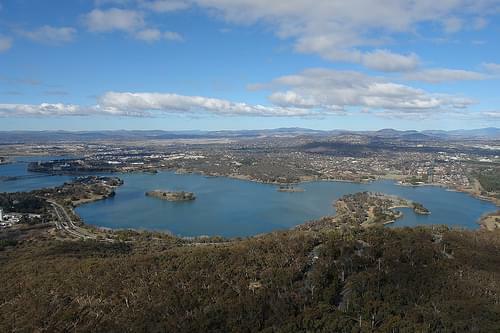 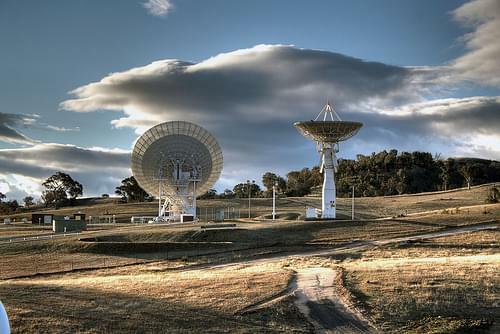 Major features of the City include the Greater Bendigo National Park, Lake Eppalock and The Great Stupa, among many others. 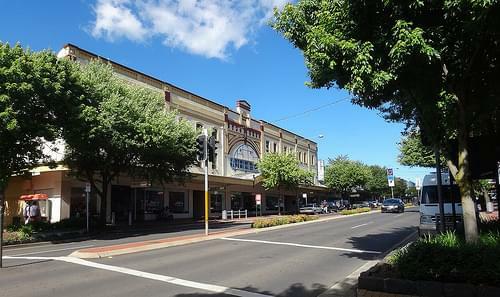 The Capital Theatre is located in View Street and hosts performing arts and live music. 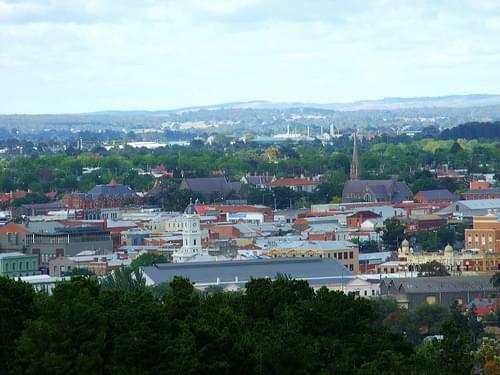 The city hosts the Victorian event of the annual Groovin' the Moo music festival, which hosts many big Australian and international acts and is held at the Bendigo Showgrounds and is usually held in late April or early May. 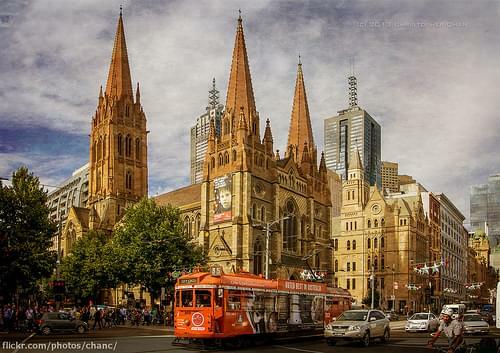 Home to a number of colonial churches, this city also boasts an impressive arts and music scene with trendy pubs and great eateries. 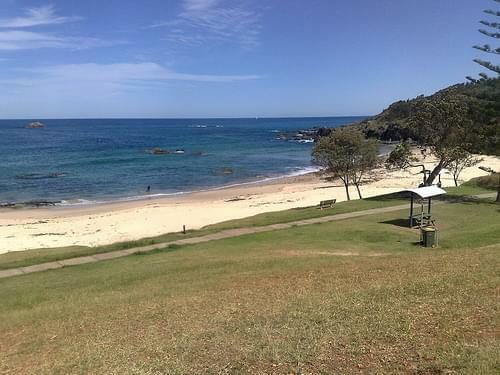 Spend the day basking in the sun, listening to the lapping of the waves as you laze about on this wonderful beach. 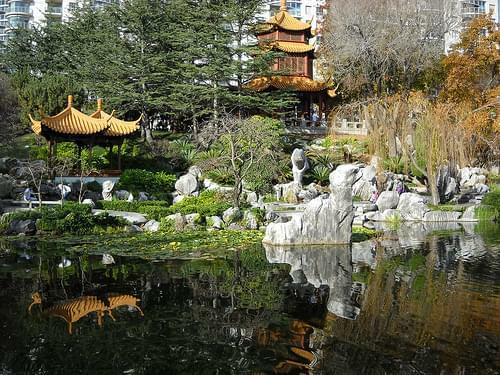 Stroll through the pleasant streets, admiring a variety of cultural and religious sites, and enjoying the lively atmosphere. 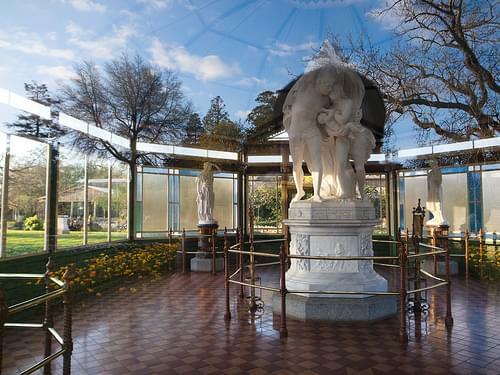 A vast botanical garden that features a rose garden, a Victorian palm house, a wealth of flowers, and many architectural curios. 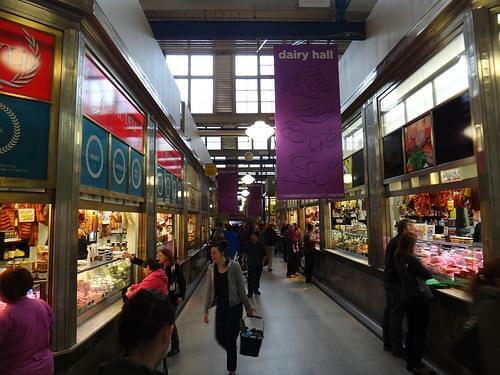 Dating to the 19C, this bustling popular market offers a great variety of fresh produce and a lively atmosphere. 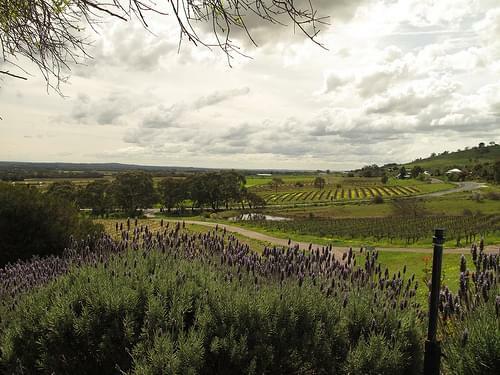 A major wine producing region, the Barossa Valley attracts visitors every year for its cuisine, scenery, history, and festivals. 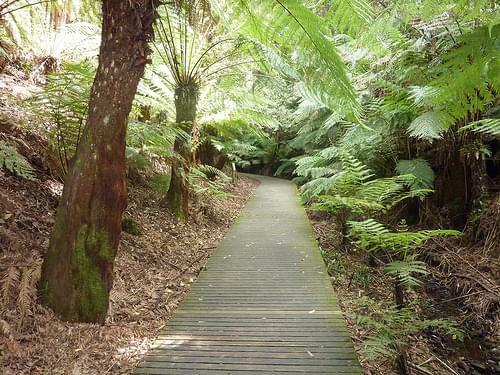 Escape the city bustle and head to this superb natural retreat, full of lovely fern trees and other indigenous plants. 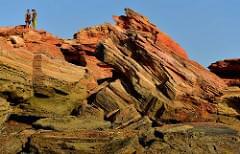 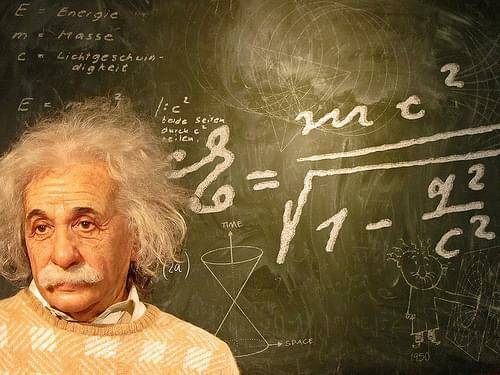 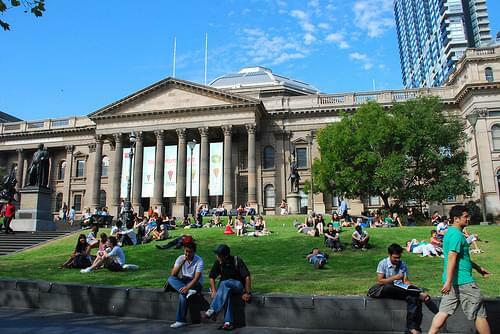 A natural history museum known for its diverse collections, as well as its world-famous exhibits on Aboriginal culture. 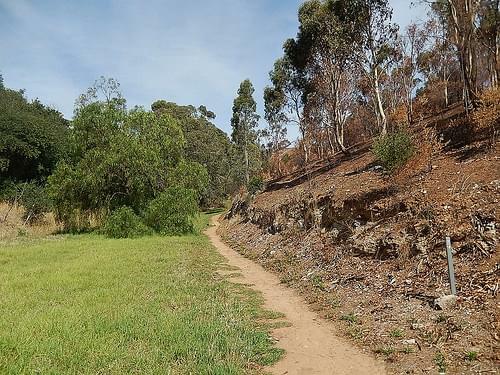 Head out to the gully for some nice hiking, great nature, a beautiful waterfall, and some wonderful views of the city. 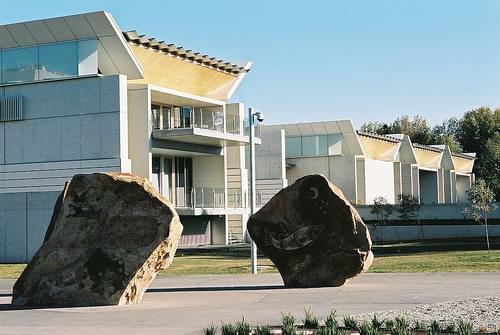 Walk among different kinds of grapevines, sample and learn about the local wines, and mix your own wine in a virtual exhibit. 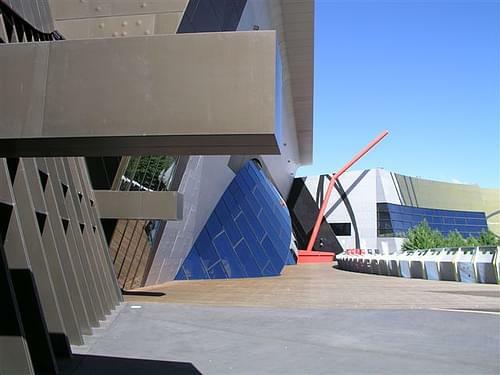 Tracing the history of migration, this museum follows Aboriginal and the later colonizing settlements in Australia. 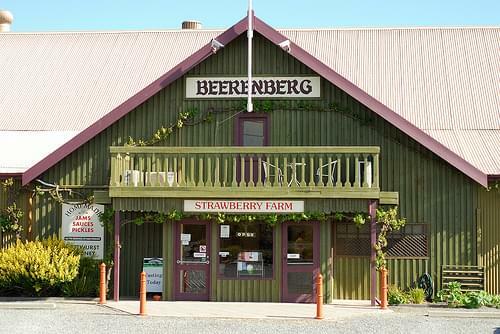 Visit this lovely strawberry farm for its many jams, preserves, and more. 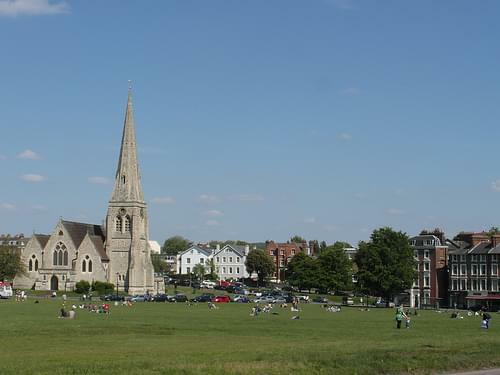 Come during season, and you can pick your own strawberries! 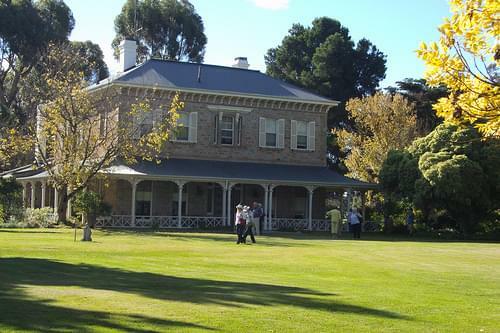 The homestead of the famous landscape painter, Hans Heysen, offers a glimpse into his life, as well as his vast art collection. 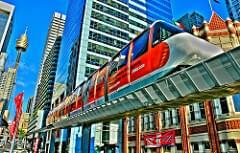 Rundle Malls offers a wonderful shopping experience, a wide range of eateries, occasional buskers, and a lively atmosphere. 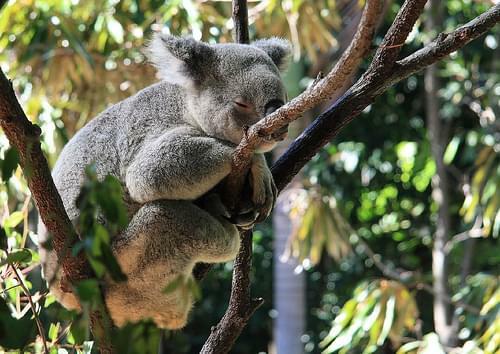 Home to over 1,800 animals, Australia's second oldest zoo promises a fun day for the whole family. 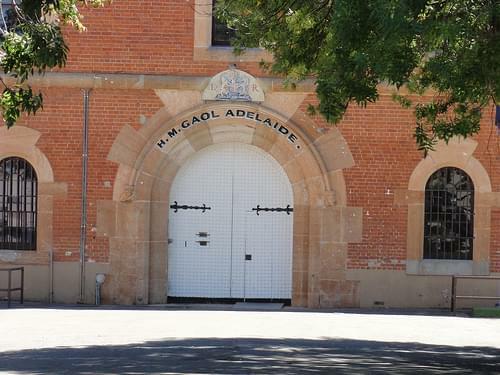 One of the oldest buildings in South Australia, this former prison now contains a museum depicting the lives of its former inmates. 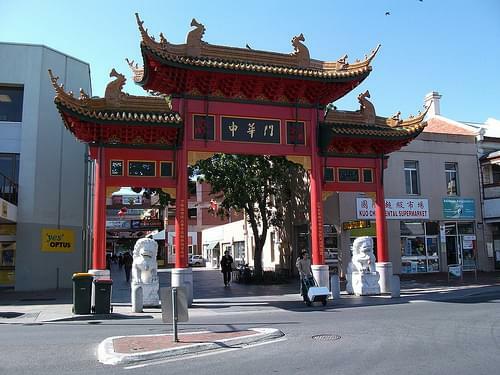 Touched with Asian motifs and architectural curios, this quarter offers an array of Asian cuisine, quaint shops, and colorful stalls. 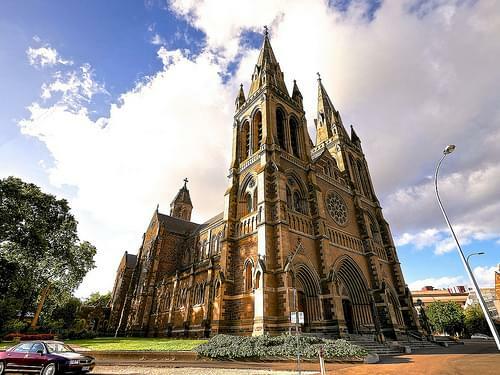 A significant religious landmark boasting an elegant rose window, fine stained-glass windows, reredos, and other decorative details. 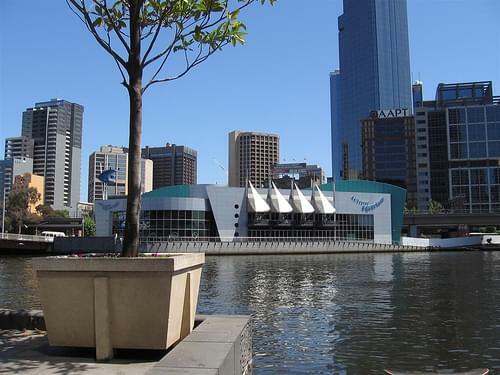 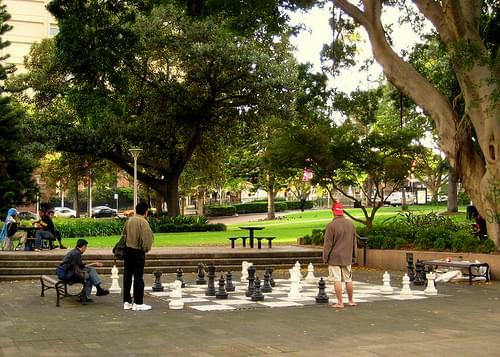 Adelaide is the capital city of the state of South Australia, and the fifth-most populous city of Australia. 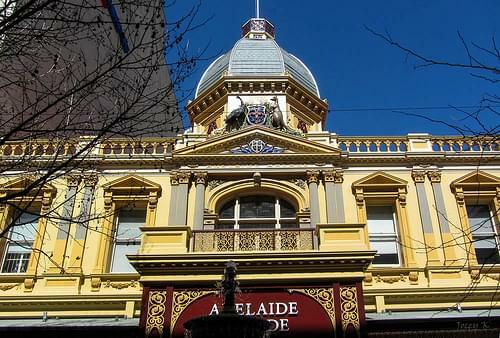 As South Australia's seat of government and commercial center, Adelaide is the site of many governmental and financial institutions. 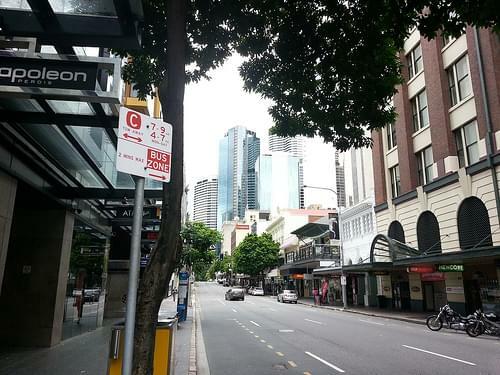 Most of these are concentrated in the city center along the cultural boulevard of North Terrace, King William Street and in various districts of the metropolitan area. 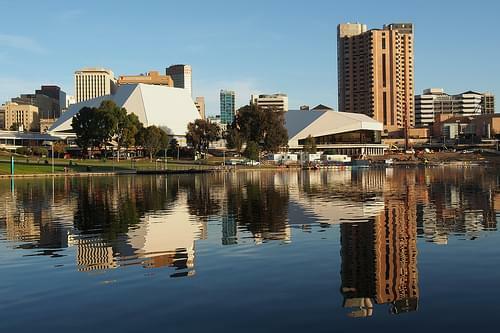 Today, Adelaide is noted for its many festivals and sporting events, its food and wine, its long beachfronts, and its large defense and manufacturing sectors. 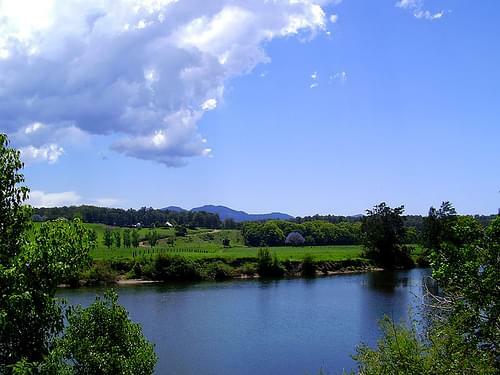 Explore this quaint Blue Mountain town, visit the several crafts and antique shops, and enjoy the beautiful views. 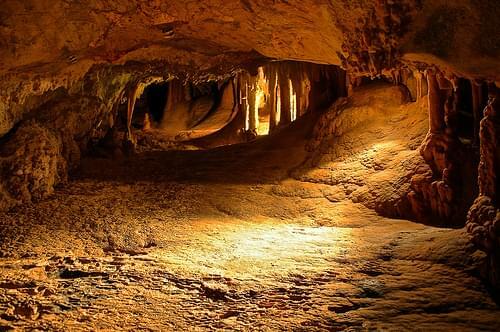 Visit some of the best underground limestone caves in the world with stunning stalagmites, stalactites, and pools of water. 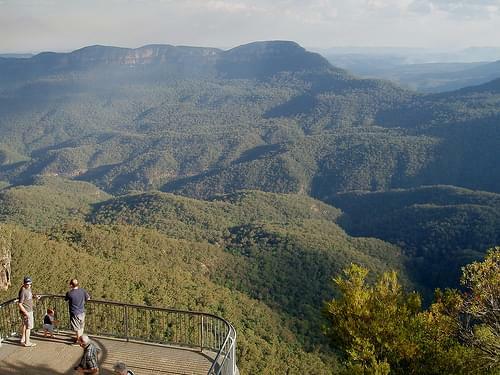 Discover the beauty of the Blue Mountains in this stunning valley, where visitors explore the Six Foot Track, as well as shorter hikes. 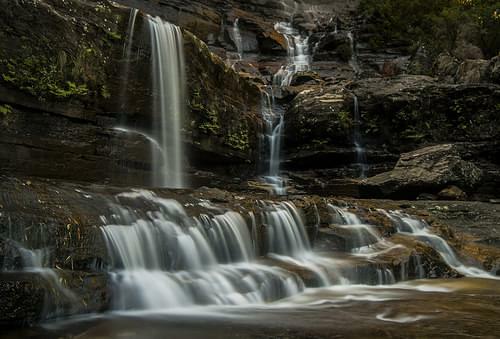 Wentworth Falls is a small town in the Blue Mountains region of New South Wales. 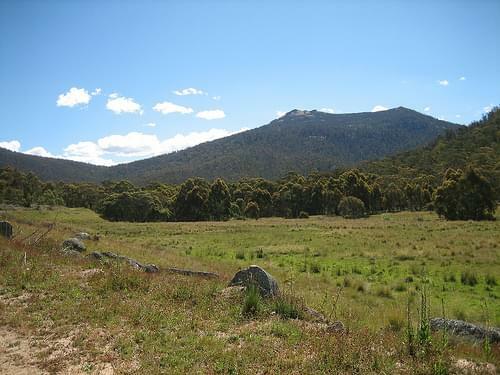 Kings Tableland, a plateau located at the south-east corner of Wentworth Falls, contains areas of major archaeological importance, including the Kings Tableland Aboriginal Site. 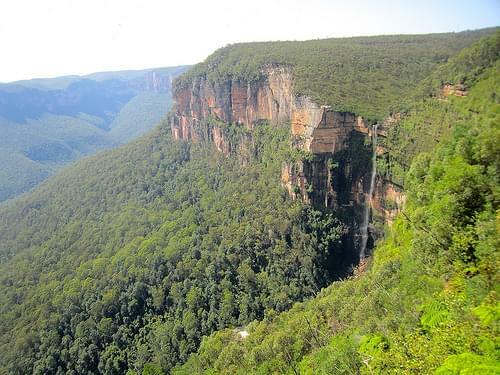 Ingar Picnic Ground, one of the most scenic picnic grounds in the Blue Mountains, is eight kilometres further east. 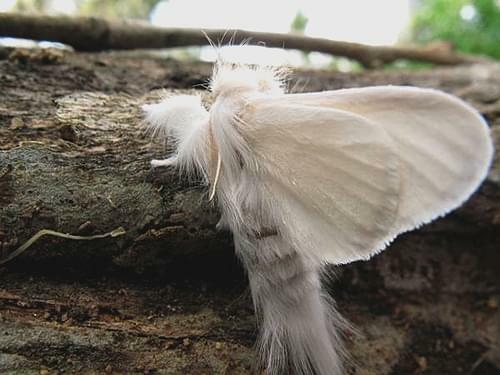 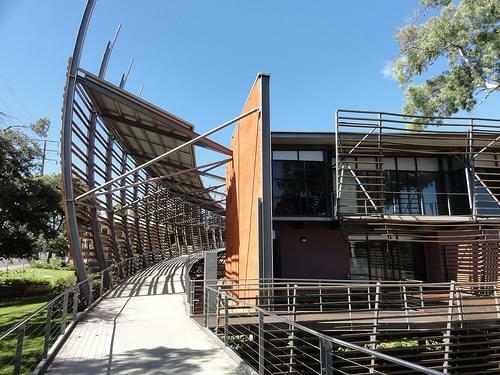 Wentworth Falls hosts several festivals and events, including the Wentworth Falls Autumn Festival in April, the Wentworth Falls Public School Art and Craft Show in October and the Task Force 72 Annual Regatta in either November or December. 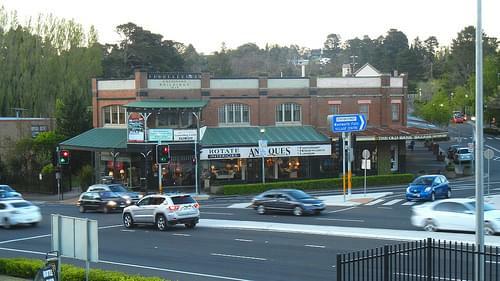 Wentworth Falls is home to WFCC or Wentworth Falls Cricket Club. 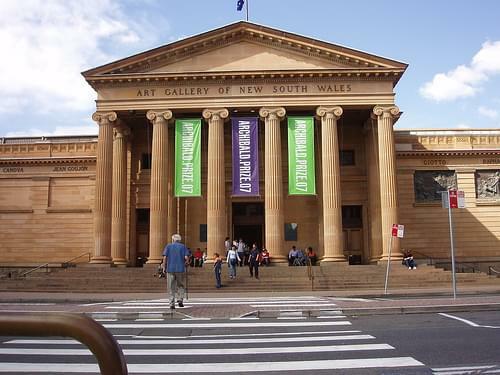 Considered to be the most important public gallery in Sydney, this huge museum houses a vast and eclectic collection of exhibits. 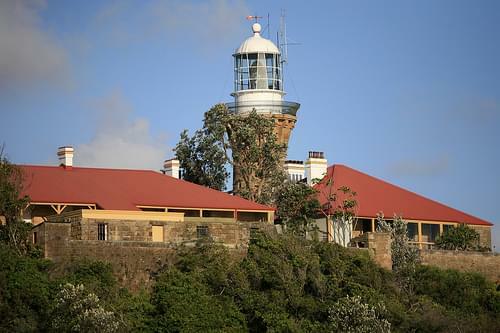 Accessible through easy walking and hiking trails, this 19C lighthouse offers stunning views and an occasional glimpse of a whale. 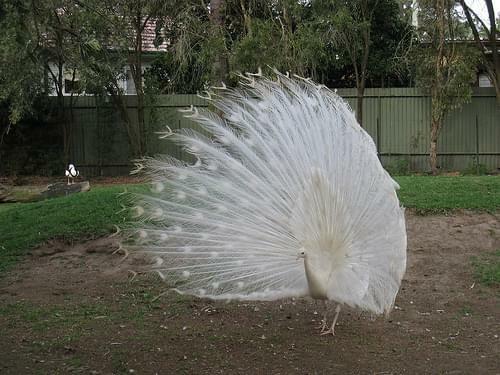 peacock!!! 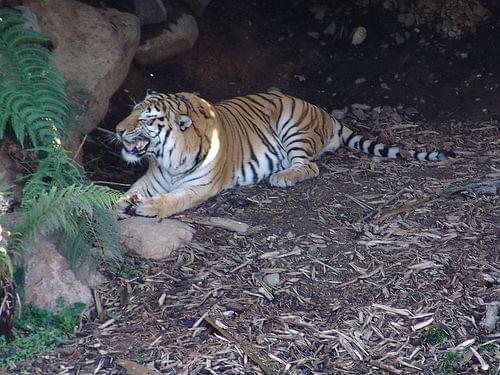 @ featherdale wildlife park by . 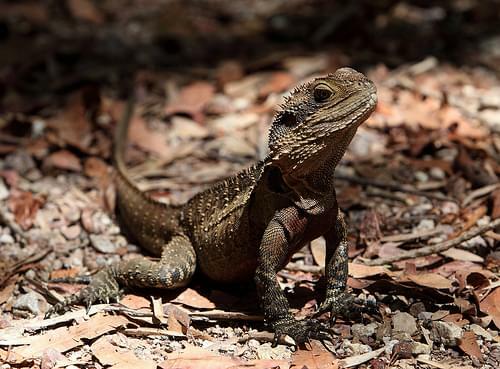 . . N I C O L E . . .
Home to a large selection of indigenous wildlife, this park allows you to interact with some of Australia's iconic animals. 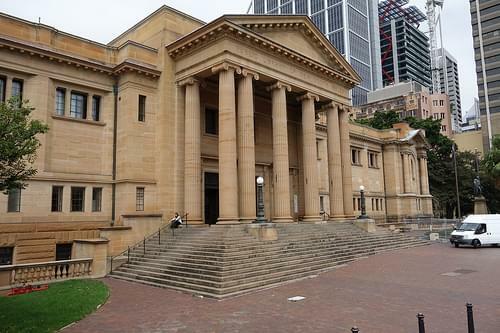 Located in a massive Art Deco sandstone building, this museum houses a huge collection of contemporary art from all over the world. 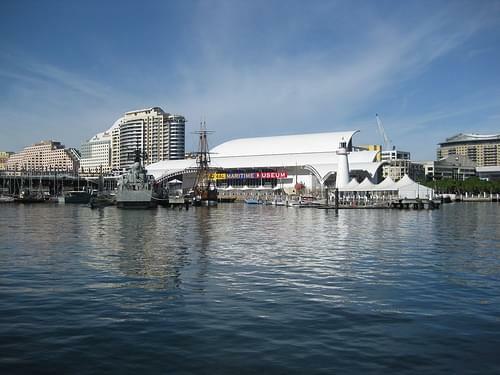 Visit this interactive museum to see a huge range of sea vessels, and learn about the importance of ships in Australia's history. 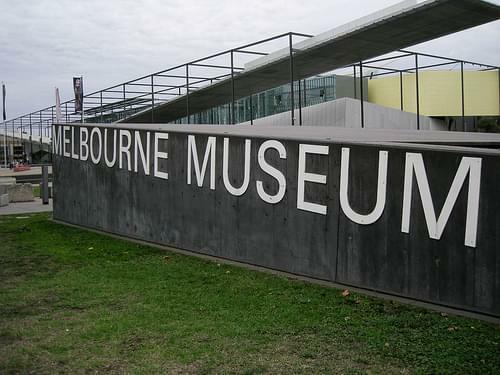 Have your photo taken with dozens of celebrities and athletes at the world famous Madam Tussauds wax museum. 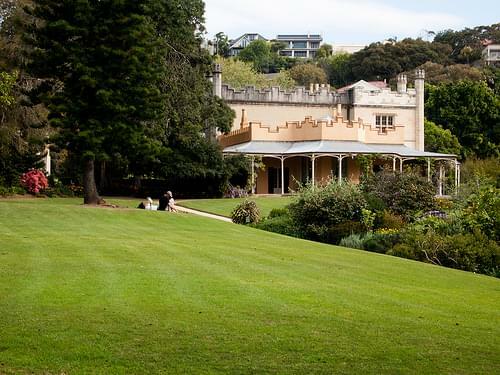 Visit this lovely Gothic Revival 19C manor, featuring gardens, lush interior, and an exhibit of the original household items. 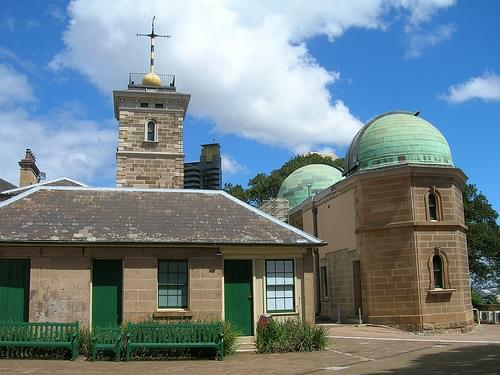 Visit day or night to learn all about astronomy in a beautiful historic building, set in serene gardens on the Observatory Hill. 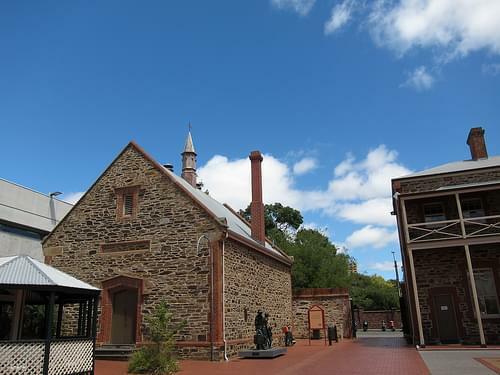 The oldest library in Australia houses a vast collection of materials, as well as impressive exhibits and a lovely cafe. 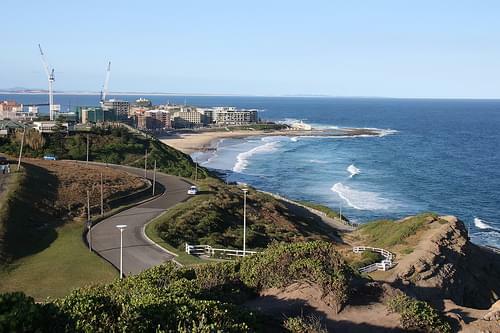 A former industrial center, Newcastle is known for its beautiful bay and beaches, great eateries, and rich arts and music scene. 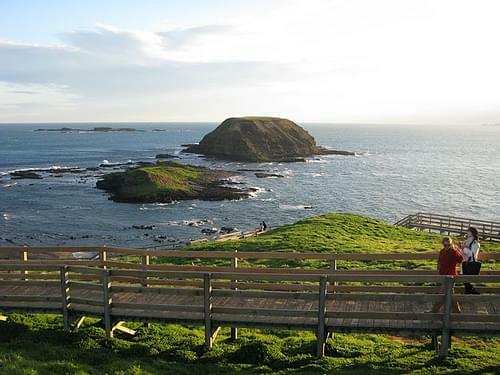 A beautiful beach resort town on the Australian Pacific Coast, it is home to nature parks, wildlife reserves, and hiking trails. 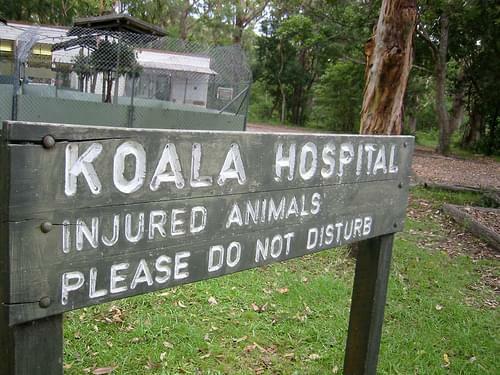 World's first veterinary hospital dedicated to koalas only, this institute offers educational tours and displays. 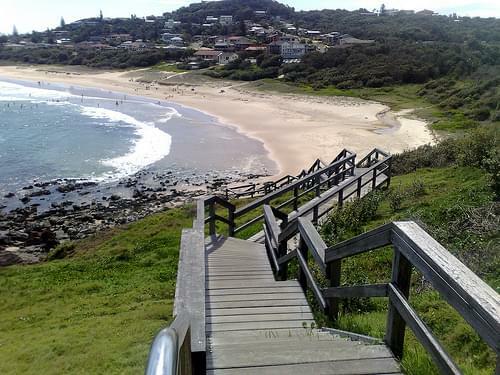 Boasting dramatic scenery and clear blue waters, Port Macquarie beach offers a variety of water-sports opportunities. 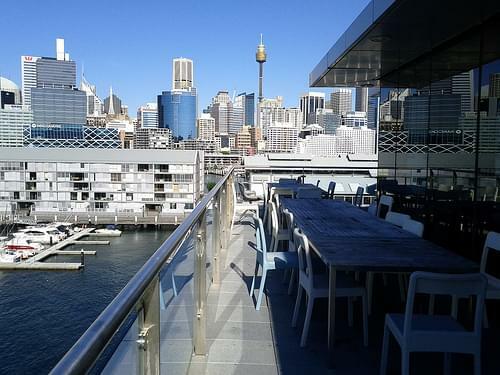 Take a walk through the lively central streets, exploring the local culinary scene, visiting pubs, or simply enjoying the waterfront. 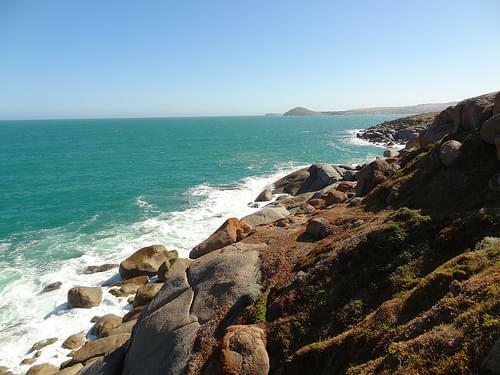 Hike through a marvelous stretch of seaside rainforest, exploring tropical flora and fauna on your visit to this national park. 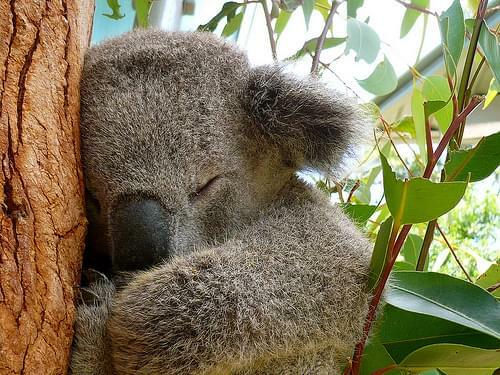 Home to not only koalas, but wombats, cheetahs, leopards, and more, this park is world-renowned for its koala preservation programs. 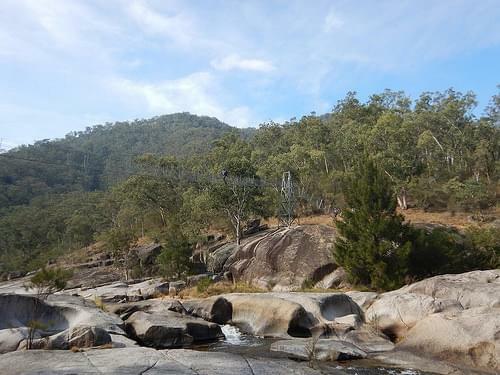 A great place for experienced bushwalkers, this massive park boasts stunning stone cliffs, deep valleys, and breathtaking waterfalls. 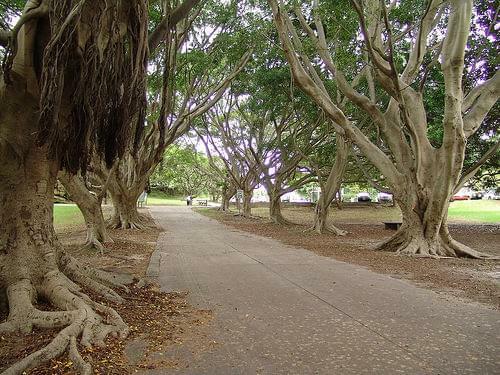 Webbed with boardwalks and dirt tracks, this park offers a glimpse into bushland ecosystem, and is home to a historic cemetery. 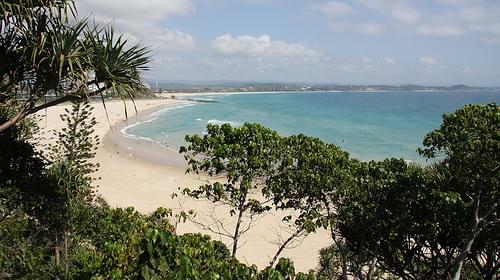 Port Macquarie is known for its extensive beaches and waterways. 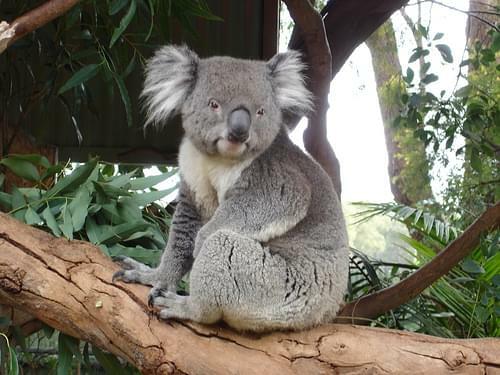 The town is also known for its koala population, being the home to the Billabong Koala Park, and the Koala Preservation Society's Koala Hospital, caring for koalas injured through bushfire, dog attacks and collisions with vehicles. 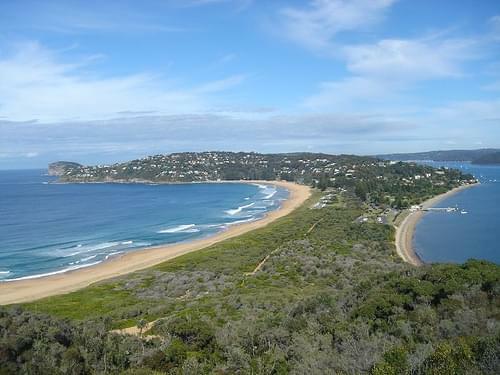 Beaches are: North Shore, Town Beach, Oxley Beach, Rocky Beach, Flynns Beach, Nobbys Beach, Shelly Beach, Miners Beach and Lighthouse Beach. 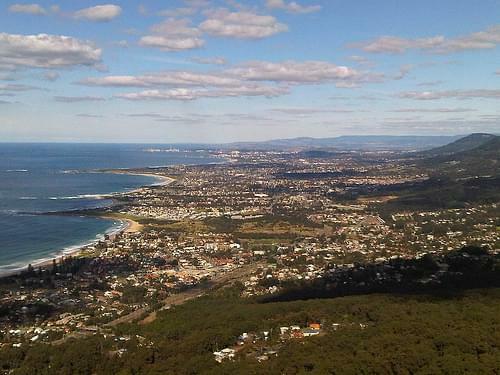 Only Town, Flynns and Lighthouse Beaches are manned by Surf Life Saving Clubs. 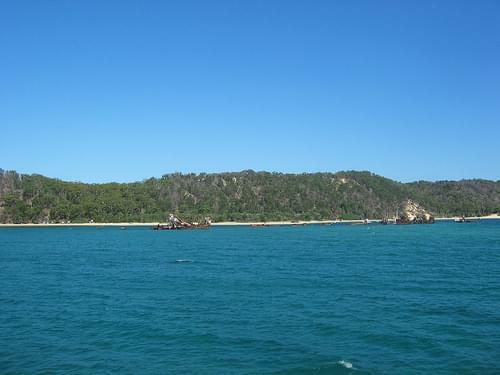 Lighthouse Beach is patrolled at only the northern end. 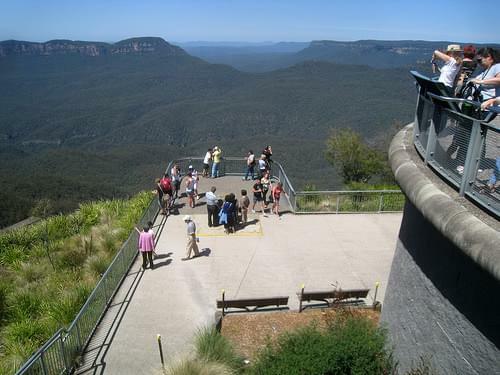 Providing views over the iconic Three Sisters, this observation deck also offers access to several hiking trails into the valley. 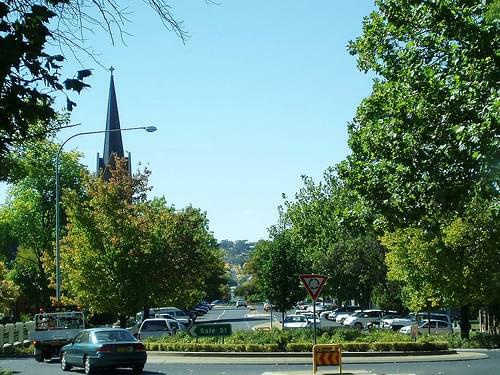 Take a walk through the town center, visiting local shops and eateries, and stocking up for your excursion into the mountains. 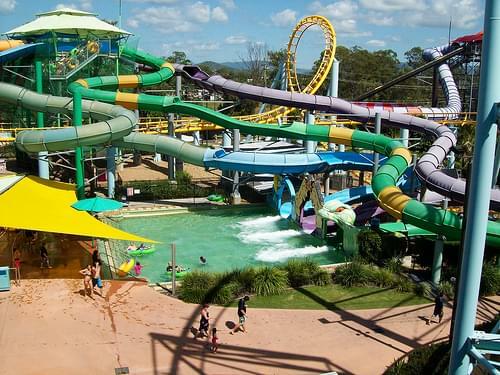 Favored by travellers for its fine views of the Blue Mountains, this theme park offers a scenic railway, a cableway, and a boardwalk. 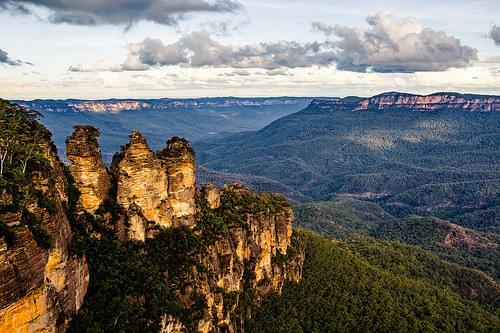 Katoomba is well known for spectacular mountain views and extensive bush and nature walks in the surrounding Blue Mountains. 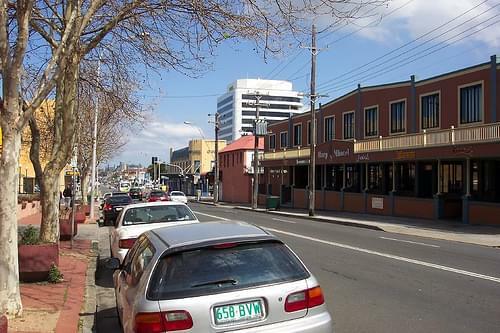 Katoomba's main industry is tourism based on its mountain scenery. 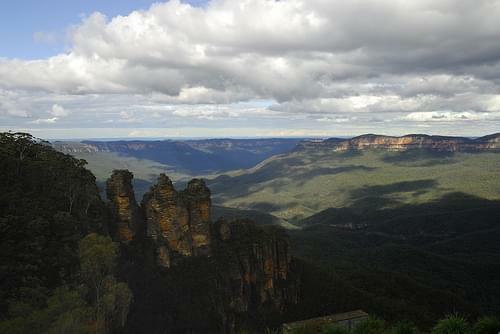 The rock formation known as the Three Sisters, viewable from Echo Point about 2 kilometres (1.2 mi) south of the main town, is the most famous feature, and attracts some four million visitors each year. 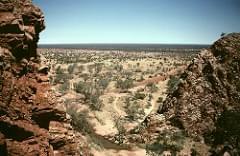 Other features of the Jamison Valley visible from Echo Point include Mount Solitary and the rock formation known as the Ruined Castle. 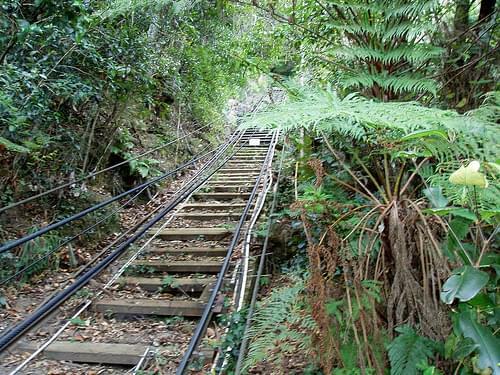 A short walk from Echo Point leads to The Giant Stairway which provides access to a number of nature walks through the Valley. 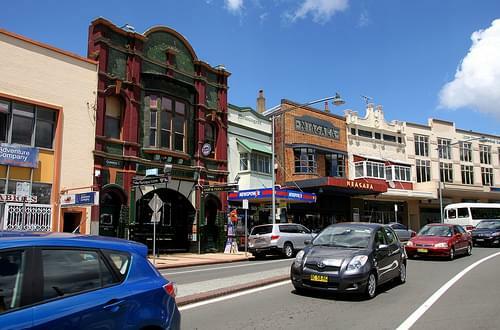 A perfect town for lovers of active leisure, with many hikes leaving from it, as well as great local pubs, and a nice atmosphere. 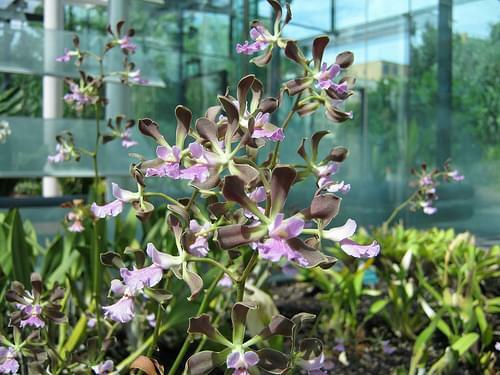 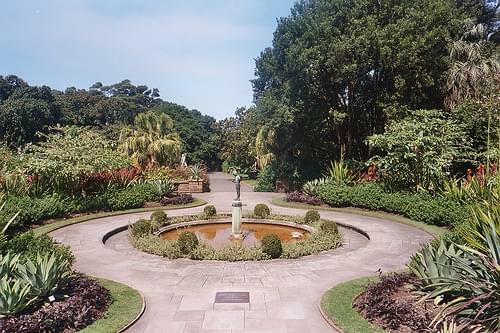 Explore the beautiful botanic gardens, home to the largest assortment of plants indigenous to Australian ecosystem and soil. 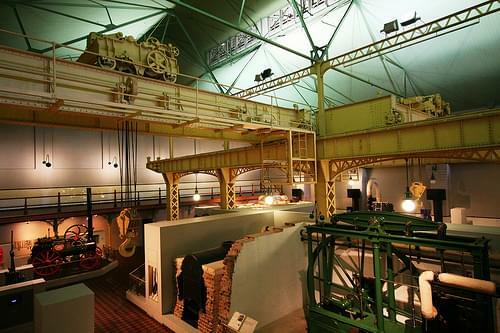 From prehistoric fossils to modern technology, this innovative museum holds a range of exhibits that offer excitement for everyone. 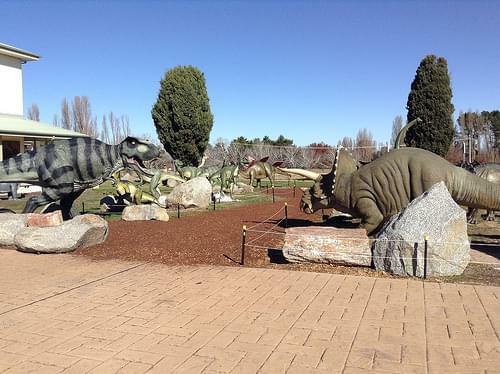 Visit this massive botanic garden for a chance to see over 2,000 species of flora and fauna, ranging from kangaroos to birds, and more. 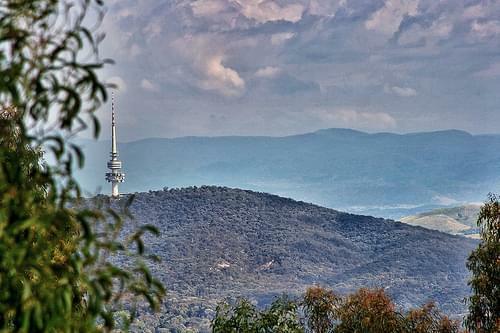 Set high up on top of the Black Mountain, this telecommunication tower offers spectacular views of the city and its surroundings. 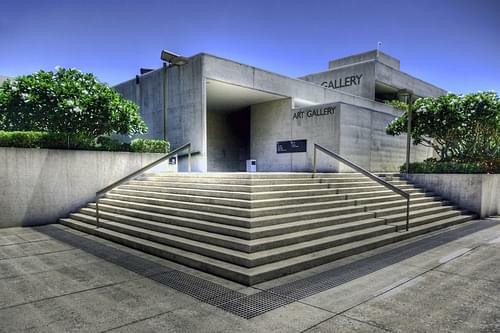 Through many modern media, such as photos, textiles, and cartoons, this gallery exhibits notables from Australia's recent history. 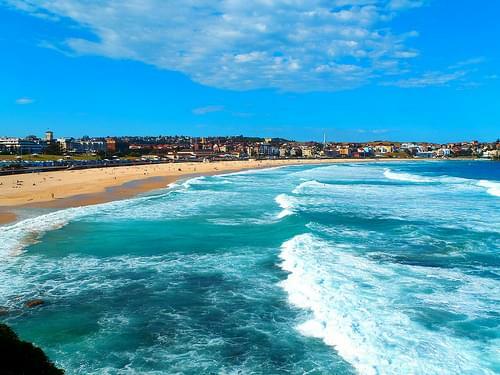 Founded along a stretch of pristine beaches, this surfer town is known for its laid back atmosphere, nightlife, parks, and fun activities. 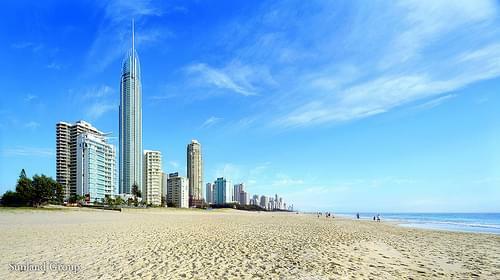 Gold Coast offers a huge variety of beaches for all tastes on its 57km coastline, from family-friendly to surfer-friendly. 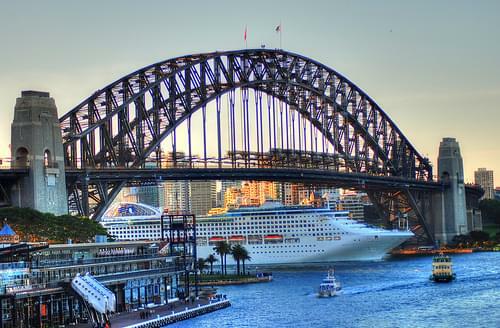 Stroll the glitzy streets of the city center, iconic for its unique combination of modern buildings and beach atmosphere. 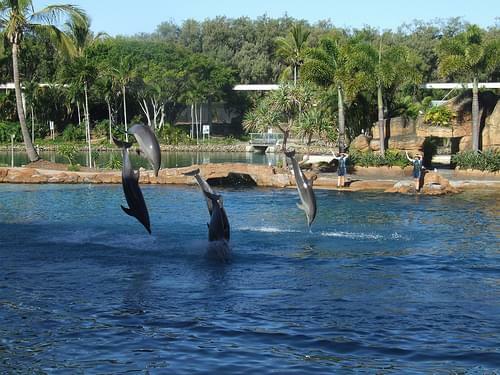 This marine theme park is home to a large variety of aquatic animals, featuring several exciting shows and attractions. 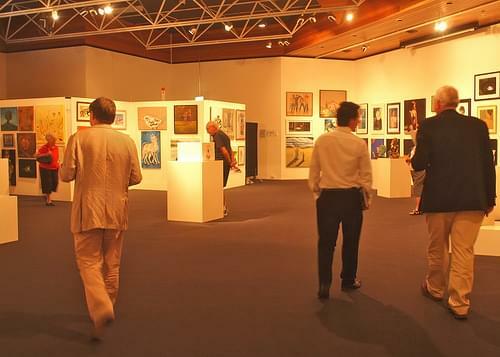 A major cultural attraction, the Arts Center is home to exhibits and performances on theater, art, music, dance, and even film. 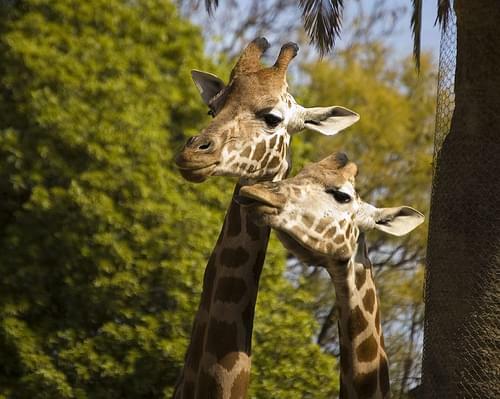 Home to many iconic indigenous species, this wildlife park allows the animals to roam free in natural-like habitat. 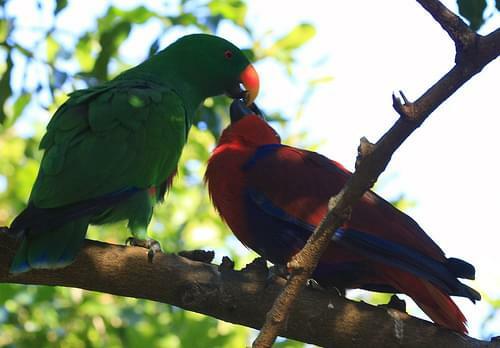 Feed the exotic lorikeet or a kangaroo, cuddle a koala, and visit over 1,400 other native birds and animals. 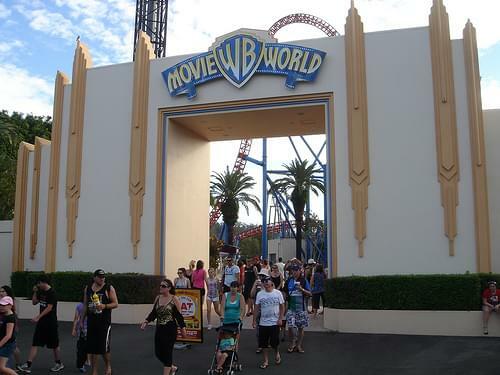 Visit Warner Brothers Movie World, take a tour of the studios, or head straight to the movie-themed rides and roller-coaster. 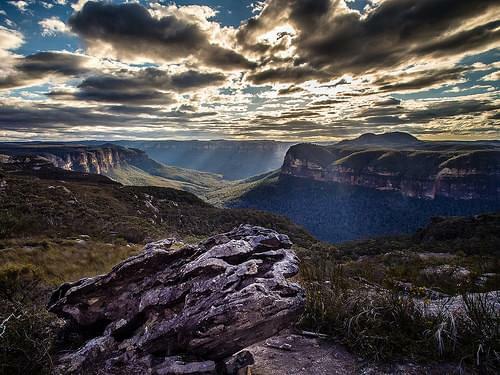 A treasure trove of natural beauty, this national park boasts rainforests, waterfalls, and mountains best explored by hiking. 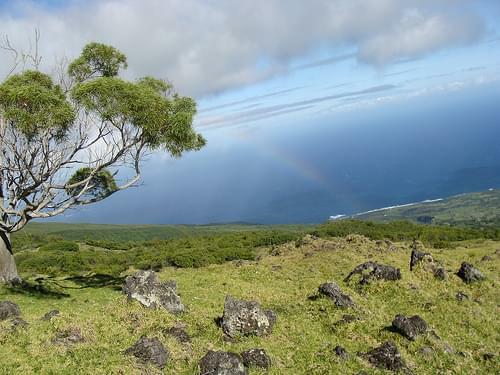 Climb up to the Pinnacle Lookout for some amazing views over virgin rainforests, mountains, valleys, and the crater escarpment. 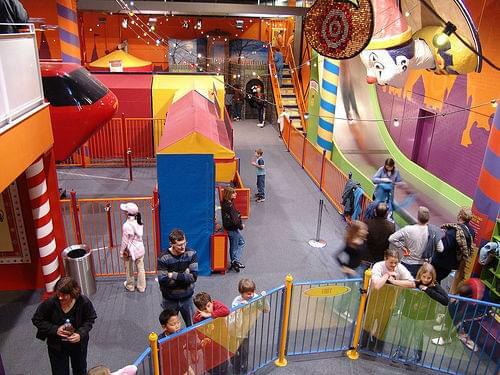 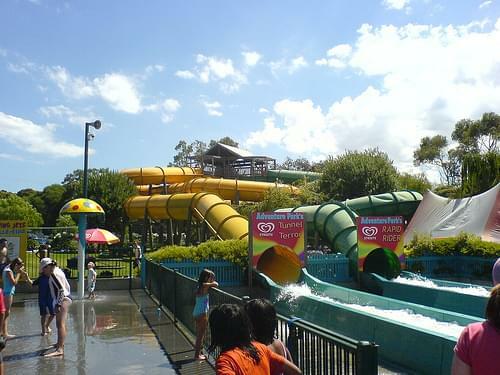 An amazing theme park, with a variety of rides as well as an impressive wildlife area, Nickelodeon Central, and an IMAX theater. 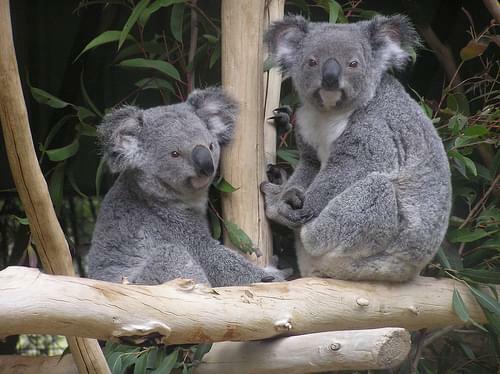 The largest koala sanctuary in the world is home to many indigenous animals, and offers an opportunity to interact with koalas. 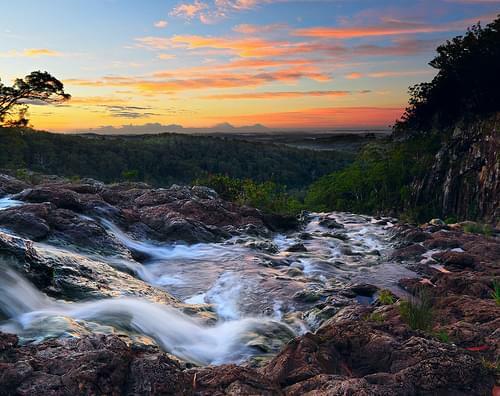 Explore the beauty of the rainforest at this large park, home to conservation programs, stunning scenery, and great hiking trails. 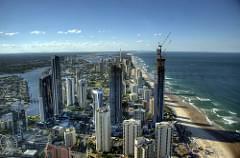 Around 10 million tourists visit the Gold Coast area every year. 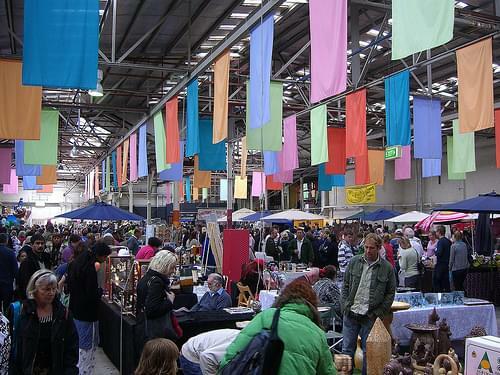 Tourism is the region's biggest industry, directly accounting for one in four jobs in the city. 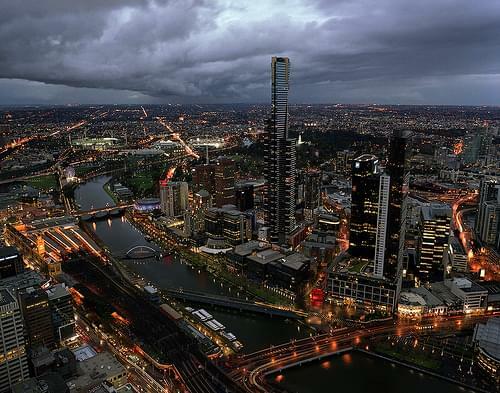 There are approximately 65,000 beds, 60 kilometres (37 mi) of beach, 600 kilometres (370 mi) of canal, 100,000 hectares of nature reserve, 500 restaurants, 40 golf courses and 5 major theme parks in the city. 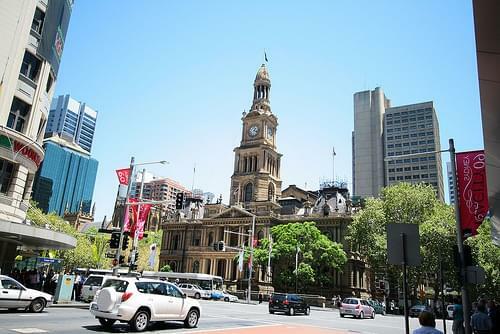 Australia's third largest city is a fine metropolis, boasting a great art scene, many good eateries, parks, and nearby attractions. 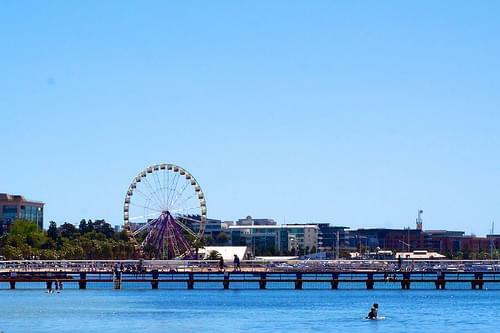 A hotspot for locals, this waterfront park offers a variety of activities for the whole family, including beaches, shops, rides and more. 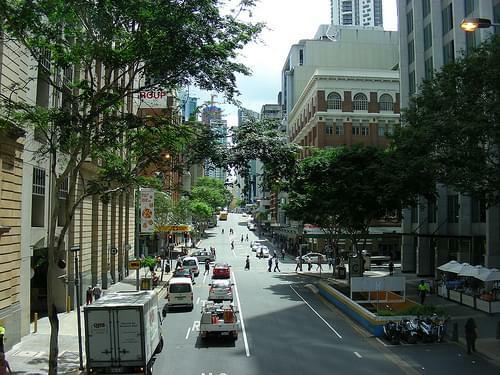 Take advantage of the pleasant tropical climate, walking around and discovering the city's culture, gardens, art, and restaurants. 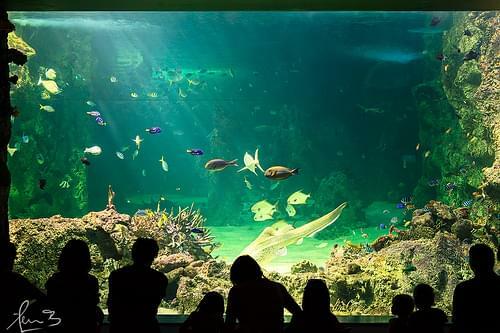 Stroll through the biggest subtropical garden in the world, explore its many themed recreational areas, and enjoy your afternoon. 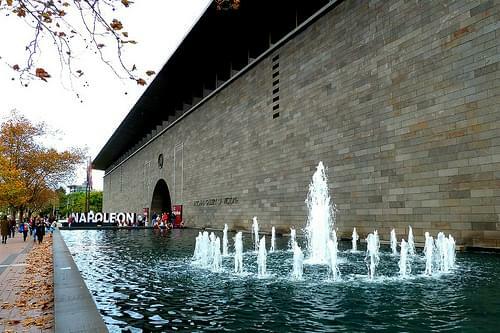 With exhibits from all over the world, it is the largest gallery of modern and contemporary art in Australia. 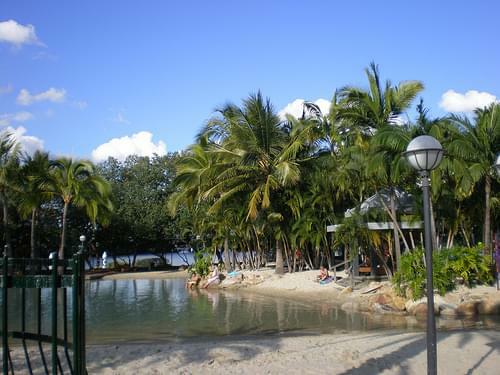 Experience a piece of tropical paradise on this breathtaking island, home to untouched beaches, protected bushland, and stunning lagoons. 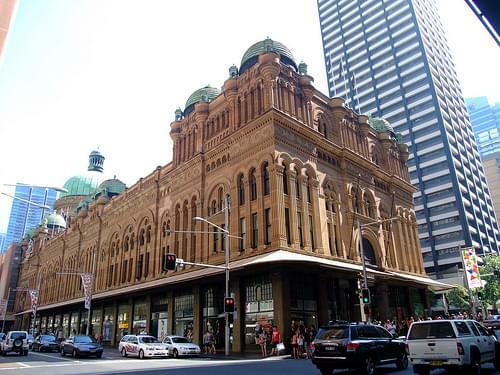 Today, Brisbane is well known for its distinct Queenslander architecture which forms much of the city's built heritage. 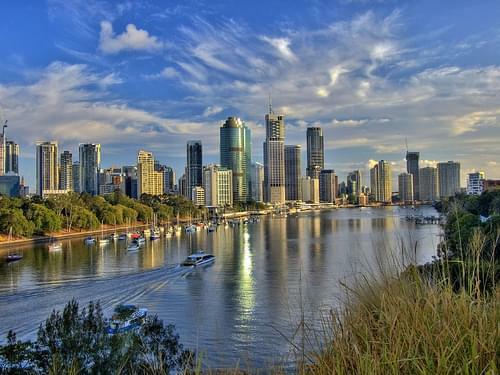 The city is a popular tourist destination, serving as a gateway for visitors to the state of Queensland, particularly to the Gold Coast and the Sunshine Coast, popular resort towns immediately south and north of Brisbane, respectively. 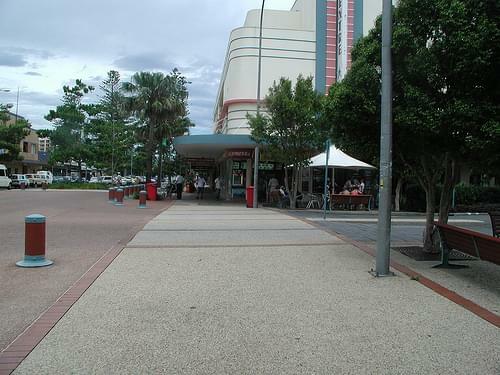 Several large cultural, international and sporting events have been held at Brisbane. 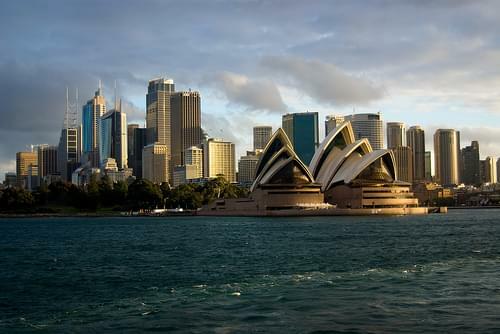 From Sydney, work your way north along Australia's east coat to Cairns to experience pristine beaches, bustling cities, diverse nature, and authentic culture. 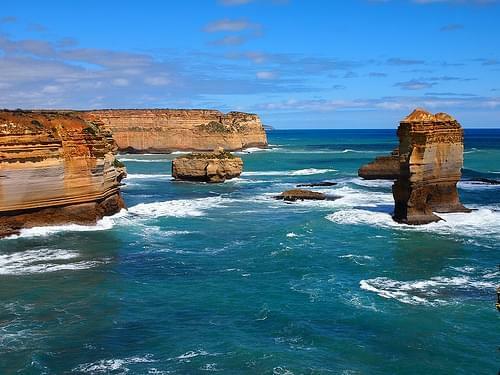 Discover the beauty of Australia's west coast, working your way north by short flights to experience breathtaking nature and beaches, authentic towns, and bustling cities. 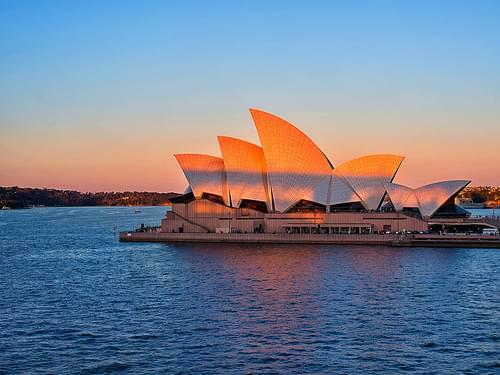 Book your domestic flights and travel through the best of Australia, visiting the Great Barrier Reef, the untamed Outback, bustling cities, authentic towns, and more. 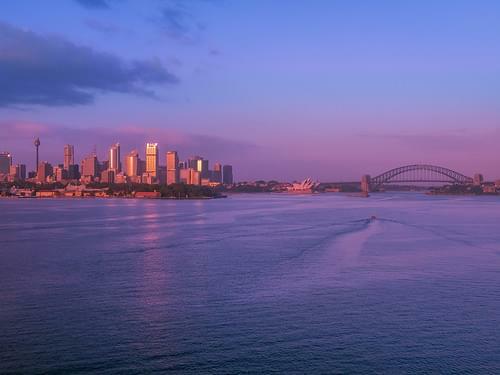 From the metropolis of Sydney, to the Great Barrier Reef off Cairns, to an authentic Outback experience, fly around this amazing country to its most iconic destinations. 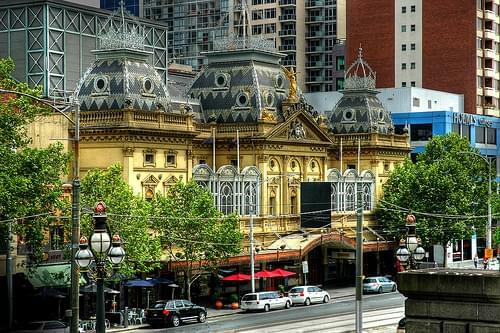 After exploring the cultural sites of Melbourne, take a flight down to Tasmania to experience breathtaking nature and rich aboriginal heritage, followed by a flight to the iconic Sydney. 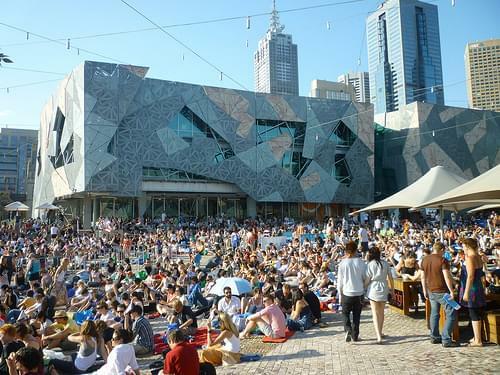 Take domestic flights between three of Australia's coolest cities, home to the best food, culture, museums, and nightlife this amazing country has to offer. 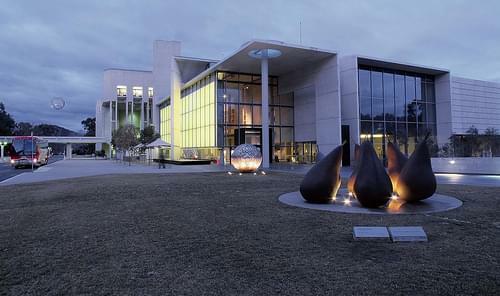 My trip to Europe/Greece was great. 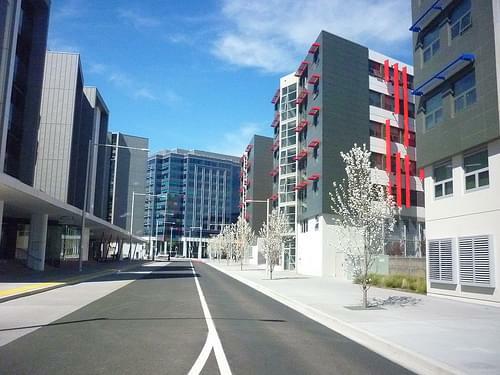 The accommodations were good, the price was right, and I liked the flexibility of viewing and selecting alternative accommodations. 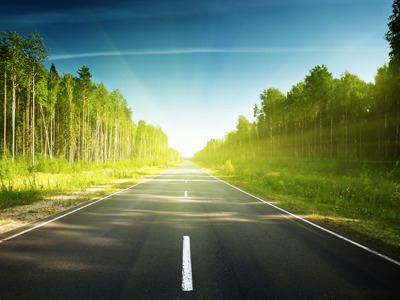 I have recommended RoutePerfect to others.